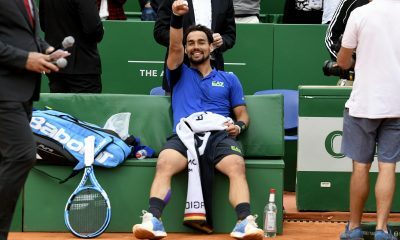 Word Number 13 Fabio Fognini gave Italy the early 1-0 lead after clinching a tough match in four sets with 6-4 2-6 6-4 6-1 after a two-hour delay due to heavy rain which made the clay court very slow. .
Fognini went down a break to fall behind 0-3 in the early stages of the match but recovered from a sluggish start to break back at 3-3 before breaking serve again to clinch the first set. 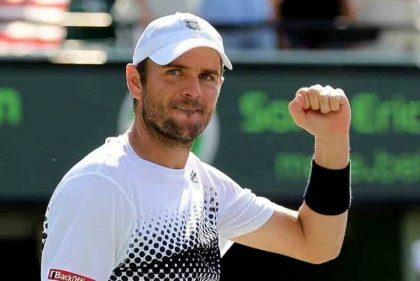 Ward, who won against Sam Querrey in the first round match against the USA in San Diego, broke early in the second set and went on to play a consistent second set against a struggling Fognini. Ward broke again with a drop-shot to take the second set. 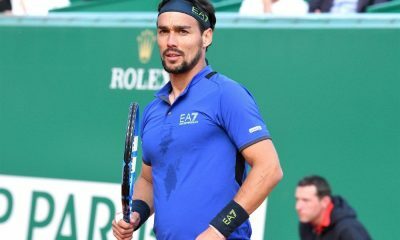 Fognini took a medical time-out to treat his injured rib. The Italian broke serve early in the third set as Ward hit wide. Fognini faced a series of break points during the third set but he managed to hold serve before serving out for the set. Fognini got a early break in the fourth set before sealing a easy win with a drop volley on his first match point for 6-1 after three hours and nine minutes. “I feel a bit tired. I had a week off after Miami. 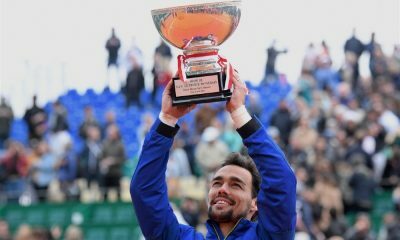 Everything is going to be in the right way”, said Fognini. If Fognini is fit, he could team up with Simone Bolelli in tomorrow’s doubles match. Andy Murray and Andreas Seppi started their second rubber at 17.40 local time. They were aware that they were unlikely to finish their match before sunset. 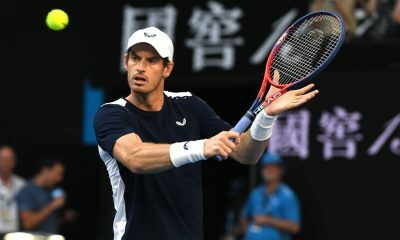 The match was balanced until the seventh game when Murray got the break in the seventh game to lead 4-3 before closing out the first set with a forehand pass. Murray served to stay in the set at 4-5 as light was fading. 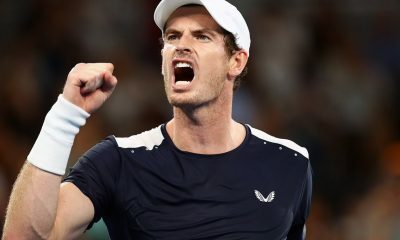 Murray saved four set points with a volley to draw level to level to 5-5 in a long and dramatic game before the match was suspended. Murray and Seppi will resume the match on Saturday morning. 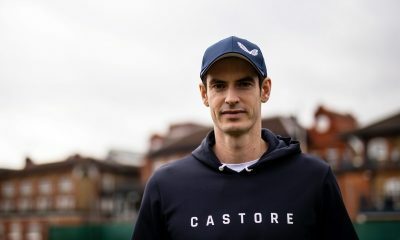 The Scotsman could play his second match in the crucial doubles match if he will be chosen to team up with Colin Fleming. The winner of the Naples match will play against either Switzerland or Kazakhstan in next September’s semifinal. 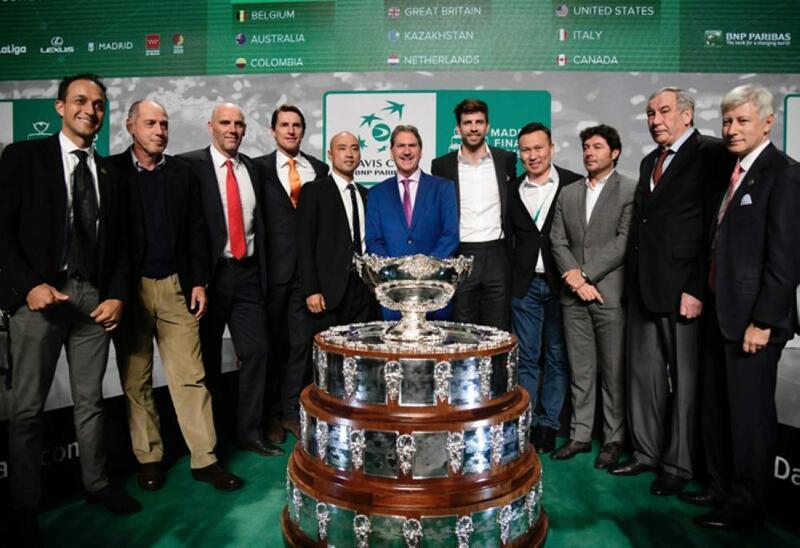 Switzerland was the favourite on the eve of the match held indoors in the Palexpo in Geneva but the Davis Cup often provides surprises . 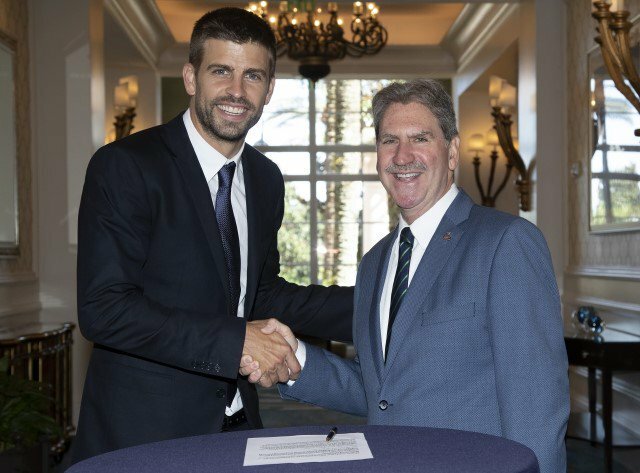 The match between 2014 Australian Open champion Stanislas Warinka and Andrey Golubev was the example that everything can happen in the Davis Cup and ranking do not matter too much. The Kazakh player gave a surprising early lead after taking an upset win over Wawrinka in four sets with 7-6 (7-5) 6-2 3-6 7-6 (7-5). Wawrinka saved two match points in the 12th game of the fourth set. 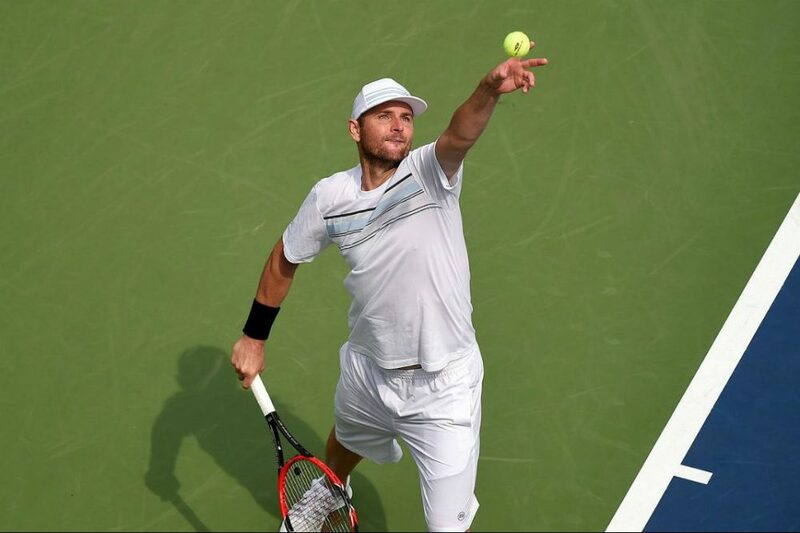 In the tie-break Golubev took a 6-2 lead but Wawrinka managed to save three more break points before the Kazakh player converted his sixth match point after 3 hours and 14 minutes to win for the second time in four head-to-head matches against Wawrinka. Wawrinka converted on just one of his 10 break points and made 70 unforced errors. Roger Federer kept Swiss hopes alive by drawing level with a three-set win over Mickail Kukushkin with 6-4 6-4 6-2 in less than two hours to the relief of the 15000 Swiss fans who packed the Geneva Indoor arena Federer got the break in the tenth game for 6-4 in both the first and the second set The 17-time Grand Slam champion, who is bidding to win his first Davis Cup, broke serve in the second game to take a 3-0 lead in the third set. He broke sere in the final game to clinch the third set 6-2. Federer capitalized on four of his nine break points and did not face a break point chance. Federer and Wawrinka are expected to team up for Saturday’s match against teh Kazakh team which may feature Golubev and either Aleksander Nedovyesov or Evgeny Korolev. “I trust Stan that he is going to be fit and healthy and fighting till the end. It was unfortunate for his match but I think that Golubev played a good match in good indoor conditions for him”, said Federer. The Swiss team is bidding to reach the first semifinal since 2004. Radek Stepanek and Lukas Rosol gave defending champions from Czech Republic a comfortable 2-0 lead against Japan in Tokyo. Japan is missing their best player Kei Nishikori who is nursing a groin injury.